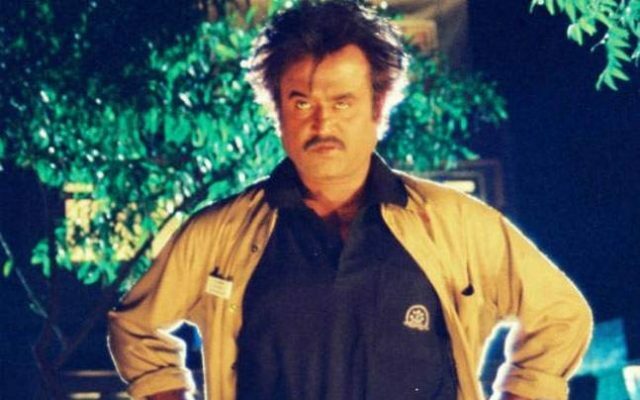 Is the ‘Baasha' sequel happening? Rajinikanth in a still from Baasha. It is no secret that the 1995 release ‘Baasha’ is one of the all-time classics of Tamil cinema. Touted to be a crime-thriller, it emerged a runaway hit at the box office and helped Rajinikanth consolidate his standing in Kollywood even further. Moreover, it featured quite a few gripping dialogues which helped it connect with fans and critics alike. Now, the film is in the limelight again. As it so happens, during the recently held Behindwoods Gold Medals 2017, filmmaker Suresh Krissna was asked whether a sequel to ‘Baasha’ was on the cards, Replying to the query, he said that he wasn’t sure about whether he would make the sequel in the near future. “There can only be one Baasha,” he added. For the uninitiated, ‘Baasha’ was loosely-based on the Amitabh Bachchan starrer ‘Hum’ and featured Rajinikanth in the role of a don. Besides ‘Thalaiva’, it also featured Naghma in the lead. The supporting cast featured names such as Raghuvaran, Vijayakumar and Kitty. On a related note, this is busy time for Rajinikanth. He is currently working on ‘Kaala’. Touted to be a mob-drama, it is being produced by his son-in-law and noted actor Dhanush. It also features Huma Qureshi ion the lead while Bollywood actor Nana Patekar plays the antagonist. Interestingly, besides ‘Kaala’, Rajini has ‘2.0’ in his kitty. It is a sequel to the 2010 release ‘Enthiran’ and features Bollywood superstar Akshay Kumar in a negative role. If all goes as planned, the film will hit screens next year.